Where can I buy the magnets? How much cost? We don’t sell the magnets that we use in our video. But if you want to help us make more ones you can buy the different type of magnets from our SUPPLIERS!! Here a list of the magnets used in our video. This one ship all over the world. 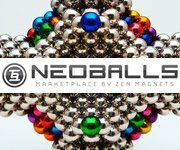 You can use a 25% coupon discount “MAGNETICGAMES” on all orders. You can also buy here. If you live in Europe here you will find a full catalog. Can I share/use your videos on my site? You can use my video for your project but first you have to tell me which video you want to use and where. Let me have also the link where you have published the video. DO NOT publish my work on Youtube!